While partnering with others may help, India’s naval aviation is handicapping itself in numerous ways. Some readers of last week’s post on the Indian carrier program contacted me to suggest that I had shortchanged Indian efforts to develop naval aviation partnerships. In retrospect, I clearly understated the extent to which the Indian Navy has worked with other carrier-operating navies, especially the USN. For example, Indian pilots have been training (with MiG-29Ks) in the United States for several years, in preparation for the arrival of the INS Vikramaditya. The Indian Navy has also procured the P-8 Poseidon, which, in addition to its own good qualities, should serve to facilitate a closer relationship between naval aviators from the two countries. However, there remain limits to the U.S.-Indian relationship. The willingness of the Indian Navy to commit to and exploit the expertise of the USN is laudable, but it would certainly help if the Ministry of Defense could help develop more coherence between strategic goals and procurement priorities. 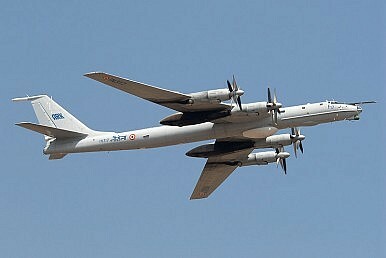 There are certainly upsides to India’s long-term military relationship with Russia, but the needs of the Indian military are moving beyond what Moscow can provide. India’s decision (hesitant though it may have been) to push through the deal with Dassault for 126 Rafale fighters is positive in this regard, as was the decision to procure the P-8. And the carriers themselves are also a concern. As noted, INS Vikrant is expected to replicate the STOBAR capabilities of Vikramaditya, presumably with the same MiG-29K aicraft. We do not yet know what aircraft will fly off Vishal, India’s first CATOBAR carrier, but unless the Indian Navy purchases MiG-29Ks for Vishal (which would almost certainly be a mistake, given that the design will be over 40 years old), it will need to operate a different fighter on its largest carrier, with all the obvious consequences for interchangeability of pilots and aircrew. And while some of the skills earned operating STOBAR and STOVL carriers can extend to CATOBAR operations, some cannot. INS Vikrant, India’s last CATOBAR carrier, ceased such operation in the mid-1980s, meaning that there will effectively be no organic institutional memory of such procedures in the Indian Navy by the time Vishal enters service. There’s nothing special about the Indian experience in this regard; the United Kingdom also faces a long road back to full operability with its carrier fleet, even after Queen Elizabeth and Prince of Wales come into service. Only the United States, France, and possibly Brazil continue to have experience with CATOBAR aircraft and operations. Moreover, very few navies devote resources to both CATOBAR and STOBAR operations. The USN, which obviously commands immense resources, can spend money on both its fleet of giant CATOBAR carriers and its nearly-as-large fleet of nearly-as-giant STOVL carriers. The Indian Navy, on a radically smaller budget, is looking forward to a future of mixed STOBAR and CATOBAR capabilities, quite likely without many of the benefits of interchangeability between the two forces. Given that Vishal will, like all modern carriers, require the normal cycle of rest and maintenance, this means that key capabilities of the Indian Navy will be unavailable some 50% of the time. Thus, while it’s surely positive that India is seeking foreign experience and partnership to secure the future of its naval aviation program, there remain serious questions about significant elements of the project. India’s carrier fleet may well pack less punch than it should, given the size and expense of the vessels and aircraft. A PLAN VSTOL? It's not as crazy as you might think. Carrier Wars: Imagine a US Navy Without the F/A-18 Super HornetSo You Think You Can Sell a Fourth Generation Carrier-Launched Fighter?Chinese Coastguard Ships Approached Disputed Senkaku/Diaoyu IslandsIndia's INS Viraat, World's Longest-Serving Aircraft Carrier, Set for DecommissioningWhere Is India's Carrier Fleet Going?